Feel at home and experience the British way of life with a friendly and welcoming local host. Have the opportunity to improve your English by talking with your hosts and watching British TV. Receive breakfast and an evening meal (and also a packed lunch if you choose full-board). A communal living area to relax in. Meal Plan: Half board or full board (Full board is compulsory for under 18s). Our hosts will do their best to make you feel at home. They know the local area well so they will do their best to provide you with useful information about the city and places to visit. Some hosts also allow students to prepare their own food in the kitchen, but this will depend on the host that you stay with. All our homestay hosts are fully-checked and trained and we inspect our homestays regularly. A weekly retention fee of £70.00 is payable if you wish to keep homestay accommodation whilst away. This isn’t available in July and August. Shared rooms are only available if booked together. Standard homestay accommodation is available all year round except for the Christmas and New Year Holiday (unless agreed with the homestay provider). 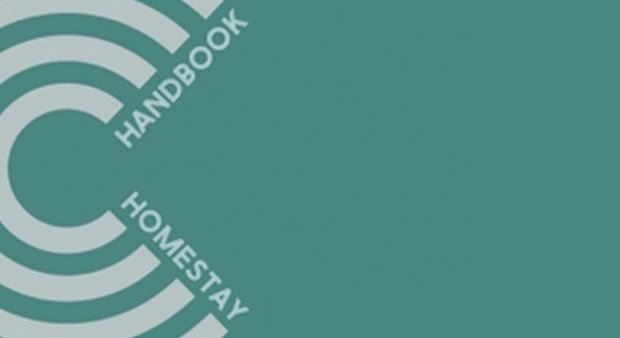 Download our Homestay Handbook for students to find out more useful information. Visit our advice for a successful homestay section. If you choose full-board, this will consist of breakfast and dinner at your homestay. For lunch, you will receive a packed lunch. This usually consists of a simple sandwich and other suitable items which you can eat in the academy. Experience living with a British host and the extra benefit and privacy of your own private bathroom.